Jovees Strawberry Hydra Lip Care is soothing, moisturizing and contains nature's anti-oxidants and natural waxes that help seal in moisture. 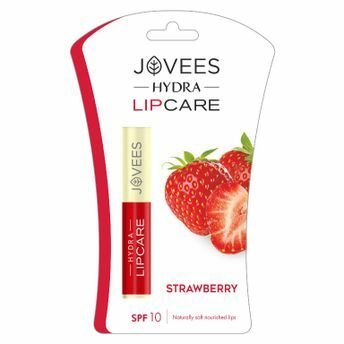 This unique formula soothes and conditions the delicate lip area, restores moisture and brings shine and happiness. An excellent recipe for dull, dry and chapped lips.